STI’s newest and strongest beadlock wheel line just got larger – and wider! STI introduces HD9 Comp Lock beadlocks in 10-inch and 8-inch widths for sand dune enthusiasts. The new deep-dish 14×10 and 14×8 inch wheels are perfectly suited for today’s wide-profile sand tires – like the STI Sand Drifter tires – helping riders get the best dune-riding flotation and power transfer to the sand. Check out more details on the product page – HD9 Comp Lock Wide. Just like the 14×7 HD9 wheel, the new sizes are built for performance and strength, and look great with a classic 8-spoke design. 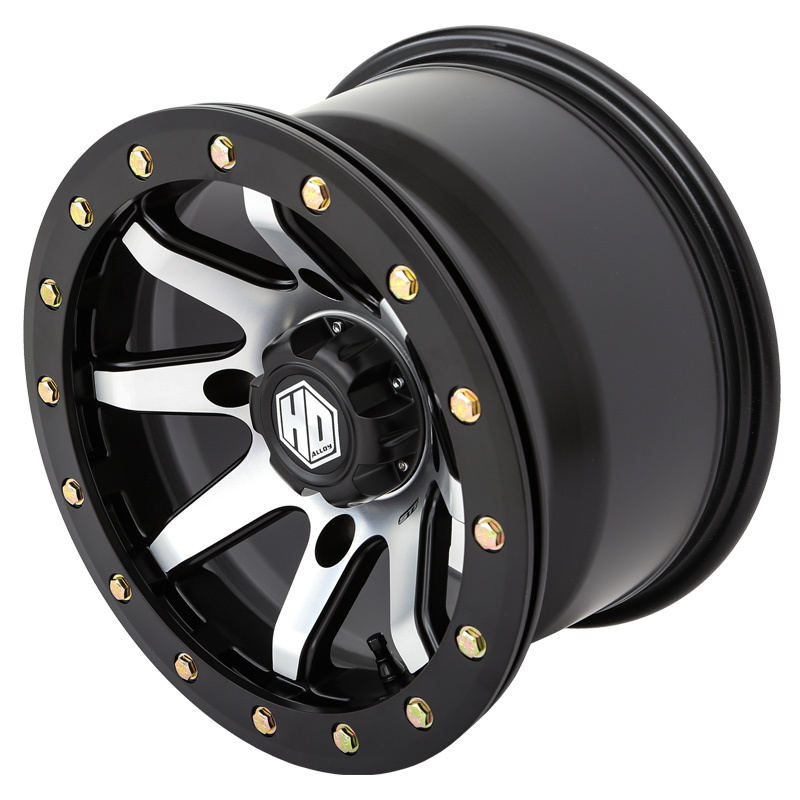 All HD9 wheels use a 10mm thick beadlock ring secured by 5/16-inch grade-8 hardware for strength. The HD9 Comp Lock is available in two finish options, Matte Black and Matte Black / Machined. Each new wheel includes a pre-installed valve stem with a black sleeve and matching cap.